Our role in society is fundamental to who we are as a firm and how we can support sustainable growth, promote trust and build skills and opportunities for the organisations we work with, for the economy and for society. A growth that needs to contribute to the prosperity for all, protect our planet and help build skills and opportunities contributing to the workforce of the future. However, HOW do you lead with purpose? HOW do you not only tell it but also show it? HOW do you create a movement around your purpose? Being purpose-led and making everyone jump at the same time is a continuous exercise. It is not easy but it is very rewarding and embed sense-making into our teams and employees. Through specific examples from Deloitte Denmark such as working with UN’s Sustainable Development Goals, Small Great Nation and with the global ecosystem, Anders will share how Deloitte is reimagining who we are and raise some fundamental questions. According to the author and Professor with special responsibilities Sara Louise Muhr, Denmark was among the first countries in the world to grant women basic rights such as the right to vote and to work. However, in the most recent World Economic Forum Gender Gap Analysis Denmark is ranked 95th when it comes to women in leadership positions. Denmark has an alarming low number of female CEOs and board members and this does not seem to change resulting in other countries more rapidly closing the gender gap. Based on 150 in-depth interviews with senior managers in Danish organisations, Muhr investigates the intersection of gender and leadership. At the core of these interviews are not only a strong belief in the myth of equality, but also strong tendencies towards gender bias and stereotypes. These biases and stereotypes, not only prevent women from leadership careers, but also lead to inefficient gender initiatives. To change the disappointing development Muhr proposes a combination of norm-critical culture initiatives and what she calls bias-blockers, they are short-term processual initiatives directly aimed at blocking the biases that everyone inevitably has as part of their basic decision-making models. The book ‘Ledelse af Køn: Hvordan Kønsstereotyper Former Mænds og Kvinders Karrierer. En Bog om Barrierer og nye Strategier’ (‘Gender in management: How the stereotypes of men and women are shaping their careers. A book about barriers and new strategies’) is designed for leaders, but it may inspire anyone with an interest in how to manage gender and to develop organisations with equal opportunities. According to the author, management consultant and keynote speaker Christian Ørsted, we have developed management principles that have increased our efficiency for the past 100 years. However, modern management has been shown to have an imbalance. As a result, we can today lead and engage employees to such an extent that they put aside their own morality and health to reach company goals. The book teaches you to understand the psychological mechanisms that are controlling our work-life and discusses the myths of modern management: Motivation, recognition, personal growth and teamwork. In his book, Christian also addresses how we can shift focus from short-term solutions towards sustainable management principles to ensure long-term productivity. Anders Dons is an alumnus from CBS, Partner and Nordic CEO at Deloitte. He is also the recipient of the CBS Distinguished Alumni Award 2019. 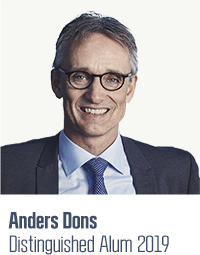 With more than 30 years’ experience in the largest professional services firm, Anders Dons has extensive experience in solving complex challenges for companies, and organisations of all sizes and across markets. Anders Dons is currently partner and CEO of Deloitte Nordic and Denmark and has previously been a member of the Global Board of Directors and Global Executive team within Deloitte. He is also responsible for the initiative Purpose across North West Europe. Anders aspires and works towards inclusive leadership, talent development and culture engagement, combining knowledge and experience with emotional intelligence and passion for his clients, partners in the marketplace and colleagues. 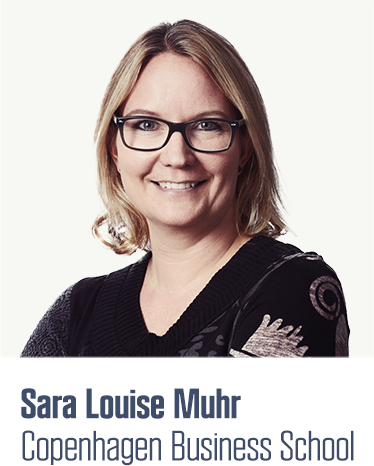 Sara Louise Muhr is Professor with special responsibilities at CBS. She holds a PhD from CBS and is the Academic Director of the CBS Business in Society Platform ‘Diversity and Difference’. Her research focuses on critical perspectives within managerial identity and HRM, especially in relation to issues involving coping with diversity and expectations in modern, flexible ways of working. Sara has worked with various empirical settings including management consultancy, prisons, the military and police force, pole dance studios and executive networks, where she has primarily been occupied with issues such as power, leadership, diversity and work-life balance. She is the author of several books, most recently ‘Ledelse af Køn: Hvordan Kønsstereotyper Former Mænds og Kvinders Karrierer. En Bog om Barrierer og nye Strategier’ (’Gender in management: How the stereotypes of men and women are shaping their careers. A book about barriers and new strategies’) and 70 journal articles. The book (in Danish only) will be sold at the event. 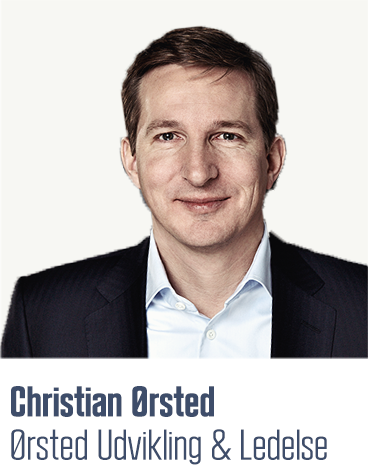 Christian Ørsted is a bestselling author, management consultant and speaker specialised in leadership development. He holds both a bachelor degree and an MSc in Economics and Business Administration (cand.merc.) from CBS. Since 1996, Christian has advised organisations ranging from start-ups to international corporations such as Coca-Cola, LEGO and Microsoft. In addition, he also works with the United Nations and other government institutions. Christian is the author of two bestselling books, most recently ‘Livsfarlig ledelse’ (‘Lethal Leadership’), the Danish no. 1 business bestseller with 40,000 copies sold. Lethal Leadership (in Danish only) will be sold at a 33% discount rate at 200DKK at the event. 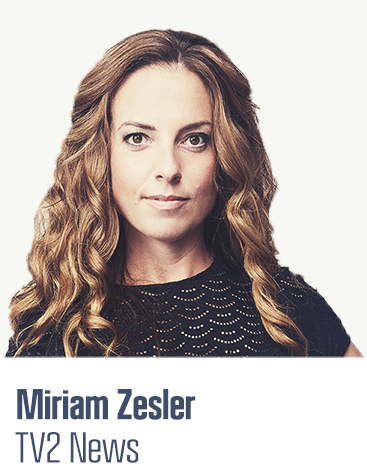 Miriam Zesler is a Danish journalist, TV presenter and author. She holds a master degree in Journalism from University of Roskilde. She worked at the Danish newspapers Ekstra Bladet and Politiken before joining the Danish 24-hours live broadcast news station TV 2 NEWS in 2014. Since 2015, Miriam has been anchoring the morning news and in addition, the weekly media debate programme Presselogen since 2017, where Danish media editors discuss and debate the journalistic hot topics of the week. Miriam is the author of the published biography about the Danish female football player Nadia Nadim entitled ‘Nadia Nadim – Min historie’ (‘Nadia Nadim – my history’).